I would be grateful if anyone could donate money for a very good cause! 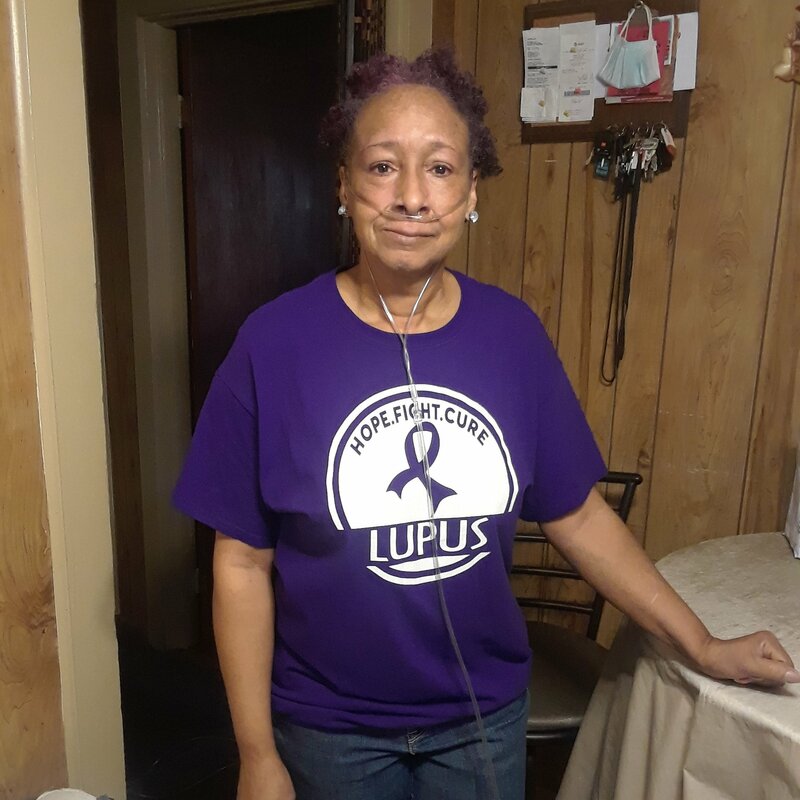 I am currently battling a form of Lupus (Pulmonary Fibrosis) that attacks the tissues of the lungs and leaves scarring upon them with no or repair. The only method is surgery! I am also on oxygen too. My family and I are asking all of our friends and family to help us in raising funds for the nonprofit Help Hope Live in my honor to help us during this critical time. I have lived a productive life before these health conditions occurred. I have worked, taken care of my family, helped out in the community when I could and attended church and other activities that I enjoyed despite of my challenges, but now it is a struggle to sometimes to get out of bed in the mornings. So I really need your help to get back to living, what I call a normal life. I do have health insurance, but many transplants and surgeries are not covered by insurance. It will help with surgery, lodging and other needed materials including medication while await my transplant and the recovery after the surgery. This is a critical time in my life and I humbly ask for your help as I navigate this journey. I have chosen to fundraise for Help Hope Live in part because Help Hope Live assures fiscal accountability of funds raised and tax deductibility for contributors. Contributors can be sure donations will be used to pay or reimburse medical and related expenses. To make a tax-deductible donation to this fundraising campaign, click on the GIVE button. And please consider sharing this link with others so they may donate as well.